I recently purchased a later model Hammerli Master that was known to be not working. I have a Master and a Single already, so I thought I'd take a swing at repairing it. I found that indeed it had been assembled wrong at some point, and managed to get it operating correctly. Then the real fun began. There is a piece missing from the valve! This is a ball valve gun, and I don't have any information on the insides of the ball valve. But I know something is missing because the part of the valve that the hammer strikes doesn't make contact with the ball, so the valve can't get knocked open. I can imagine the part, and tried making what I think the part should be, but only had marginal success. It would move the ball when the hammer was hit, but the seal the ball sits in was too free to move, and came out of alignment. Maybe I don't have the right "design" in my head. Or maybe I have more missing or wrong parts than I'm aware of. 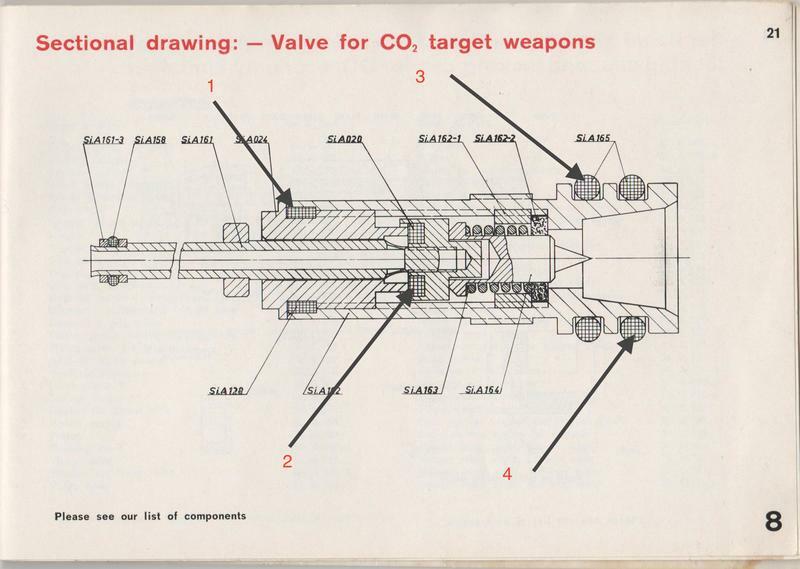 So, might anyone have any pictures or diagrams of the ball valve? Or, maybe a "spare" valve assembly they'd be willing to sell? Or maybe even a ball valve gun? This gun is way too nice to turn into a parts gun, and I do enjoy working and reviving these guns. By the way, here are the parts I have. I've successfully resealed a Single and a Master, and unsuccessfully resealed another Master. As I understand it, the ball-type valve replaced the earlier valve design. I'll attach schematics of both valves, in hopes they provide some insight helpful to you. Good luck. Vince, I took a pic of the ball-valve diagram but Ron beat me on posting it. From your pic' it appears you may have an O-ring for a valve seat, vs the square section original which likely stays in place better. The ball valve picture is exactly what I was looking for, thank you! There might not be anything missing after all, and I was just assembling things in the wrong locations. The white piece (seat) in my picture does have a square cross section, and after some very careful alignment fit into the location shown in the picture. I had that in the wrong spot before. Now it appears the internal threads in the outer valve body are damaged, preventing me from screwing the retainer (V3A012) down far enough. I'll take that problem over missing pieces any day! Mike, you might want to add that ball valve picture to your Hammerli picture archive, if you can. Hopefully I won't be the last person interested in this. Thanks again, everyone! I will keep you posted. I got the threads cleaned up in short order, and realized that the aluminum bar stock I was using as a driver wasn't up to the task. I will have to go get a screwdriver and grind out the blade to make a proper driver. But in the meantime, I have another piece of Hammerli exotica to share. Has anyone ever seen a "push to pierce" 8g co2 cap before? Pushing on the button on the outside of the cap extends the rod you can see in the middle on the inside. The curve of the inside certainly hints that the rod is not intended to pierce the co2 cart, but maybe push on its round end. Any ideas? One more question and a hint. The questions relates to manual pages for the later Masters. The layout and operation of the trigger and its mating hammer on this model is different from the earlier ones. 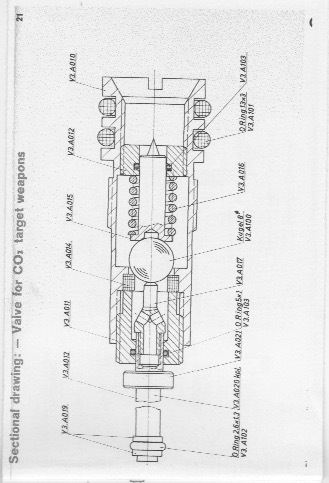 Could anyone with a manual from the later guns also scan the cross section picture, and the picture explaining the trigger adjustment screws? They would be good additions to the picture archive as well. Just to share, the gun when I received it had the ball valve seat installed in front of the hammer spring, above the loader release arm(!). Not having a picture from which to work, I attempted to make it work with that piece there. Eventually I took the whole gun apart, and just started building following what made sense instead of where the parts had shown up. The hint regards rehabilitating the seals of a gun that has just started to leak. I'd read in Tom Gaylord's blog about Bar's Leaks brand Transmission Stop Leak concentrate. He swore up and down about it helping co2 guns that leak a little. My Single was at that stage, and I figured I didn't have anything to lose, so I'd give it a try. I used a drinking straw as a dipper, and dropped a good 10 drops into the gun, and loaded a cart. It did cough and sputter, but after a couple of dry shots, the leak stopped. Completely. It did take dry firing the better part of a cart to spit all the extra fluid out. But, the gun is back to holding indefinitely. So, pistolero, you might want to considering giving that a whirl in your unsuccessfully sealed Master. Well, Mike, thanks for trying! On the cap, my understanding is the same as yours.. I guess bottom line, I don't think this cap goes to a Master or Single at all. And while looking at pictures of other Hammerli guns, I can't find it anywhere. Just another mystery. Here are pictures of the trigger and hammer from this gun. It is completely different from the one in the documentation. Thankfully the trigger operates very well, so I don't *need* to know what screw adjusts what, but it would be nice. I don't own or plan to own a Hammerli but post like this are neat. Great info. Thank you everyone. The manual that marflow liked to shows a bulk fill endcap. Anyone have one? Based on being inside the two I've been in, I'm pretty sure that the combination of the hammer and trigger could be swapped between a new style and old style gun. One definitely couldn't use an older trigger with a newer hammer, or vice versa. The old trigger's sear contacts the hammer, directly releasing it. The newer trigger's sear releases the little rocker that captures the hammer. Or at least that's my take on it. It is actually a pretty neat design. And the two valves seem to be externally similar, so they could probably be swapped as well. From an engineering perspective, it would be easier and cheaper to upgrade just a component group (trigger internals, valve internals) of the gun than the whole gun. Less machining to change. But without actually trying to swap component groups, I don't know for sure. And I'm hesitant to take apart a working gun just for that knowledge! At a fundamental level, if the gun works, the parts must all be right, right? The only external hint between versions I can think of is the trigger adjustment area. Where the older version has one larger screw with the other screws in front of the trigger, the newer versions has only smaller adjustment screws. Thanks, Mike, this thread has definitely been fun. 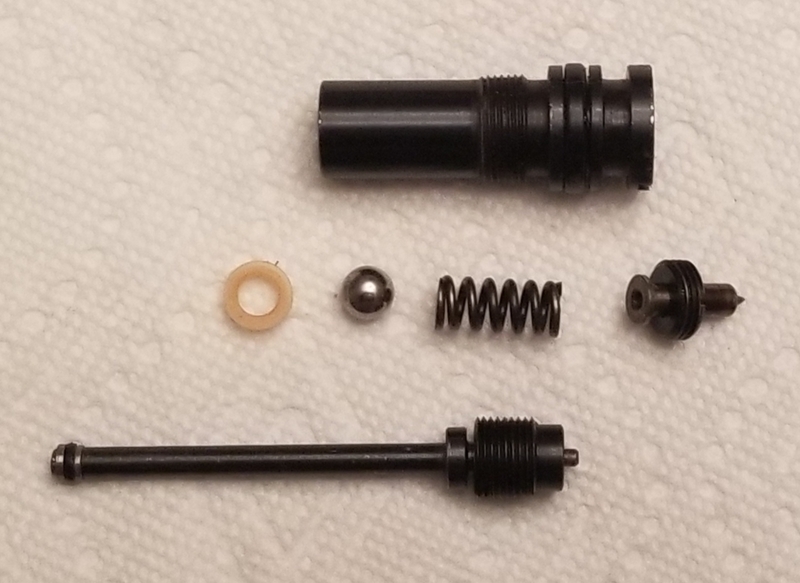 I found that the o-ring size on the valve body is a commonly available Crosman size, so that's one more problem solved. I'm pretty sure the little oring on the front of the valve is similar to a probe seal I've seen before too. Wouldn't it be great if it turned out all the external orings were that easy to source! If I get this gun working, I'll put out another thread with the tools I had to make, and what I've learned along the way. I still hope @pistolero or @oldair see their way clear to providing more pages from the later Master manual (pretty please?). Be well, and happy shooting! I did get the valve back together and functioning, thanks to that diagram. 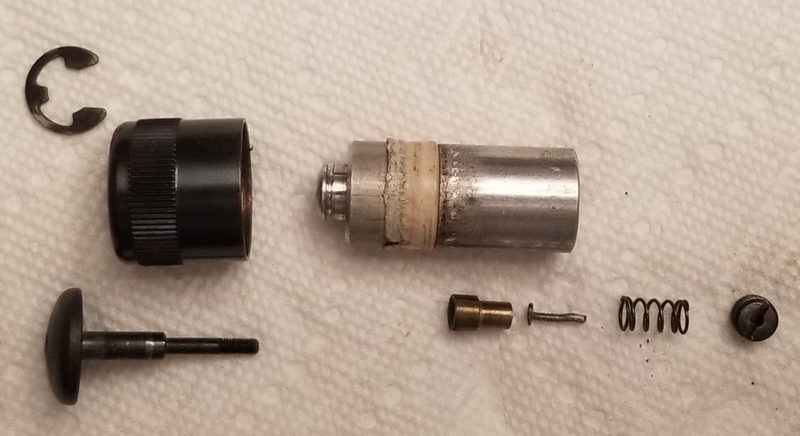 Those two seals on the outside of the valve body turn out to be replacable with good old Crosman part number 150-54. I used the 12 g co2 cap and the coil spring that positions the cart from my other Master, and have to say, the gun works really well. That "different" trigger is really rather amazing. It is incredibly light and still precises. I know, maybe "I just need to get out more", as they say. I never played with the adjustment of my other Master, so maybe it can be made as light and precise. I'm sure I'll never mess with it, though. I thought I'd add a picture of the gun, and the tools I had to make to do the work on the gun. The 4mm AL rod with a 2 mm wire centered into it with a tape shim was great for helping push out the valve, and for centering the valve probe into the appropriate position when reinserting it. To remove the valve body I used 3/4" steel stock, grinding the tip to less than 2.4mm for a height of 2mm. I did have to file the width of the steel down a little, as the tube itself is 3/4". 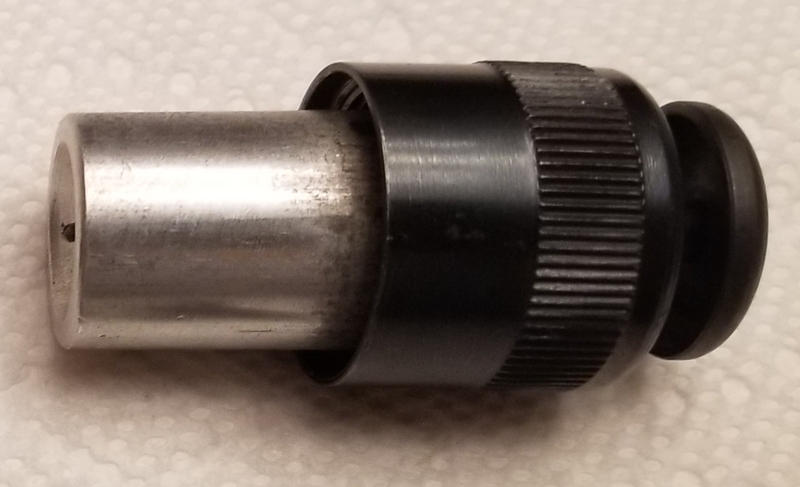 To remove and adjust the valve core, I used a 5/16" screwdriver, cutting a little more than 4.5mm out of the middle of the blade to straddle the piercing pin. The last "tool" is the barrel from a Daisy 1894. I didn't need that when I was working on the valve, but I had to disassemble most of the gun, including the hammer. The hammer is kept in only with the two cocking screws, so one needs to push against the hammer while removing them. 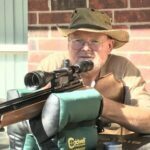 The muzzle end of the barrel is great for distributing that load. Almost more importantly, when reassembling, one needs to keep the hammer spring straight while compressing it. 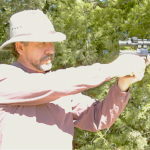 The AL rod from the muzzle end can pass through the 1894 barrel, so the AL rod keeps the spring straight, while the barrel pushes on the rear of the hammer from the other end. Everything stays nice and straight and in control. That brings me to the goofy cap. Here's a picture of its internals. Hmm.. no oring, and no place for one, just what looks like tape?! And, the button unseats a piece that seems to act like a seal. Maybe that button isn't a "press to pierce", but a "press to dump". But why would the engineers make such a cap, and arrange it with a dedicated 8g converter? So here's the only sense I can make of all this: I think this gun was a test mule for that trigger that no documentation seems to exist for! Given that, having an 8g, dump-able cart system makes a ton of sense. Why waste a 12g cart when most of your shooting is testing? And might as well make it easy to dump the cart when you're done testing, and have adjustments to make. It just might be that this gun was never really intended to be sold, and somehow "got out". 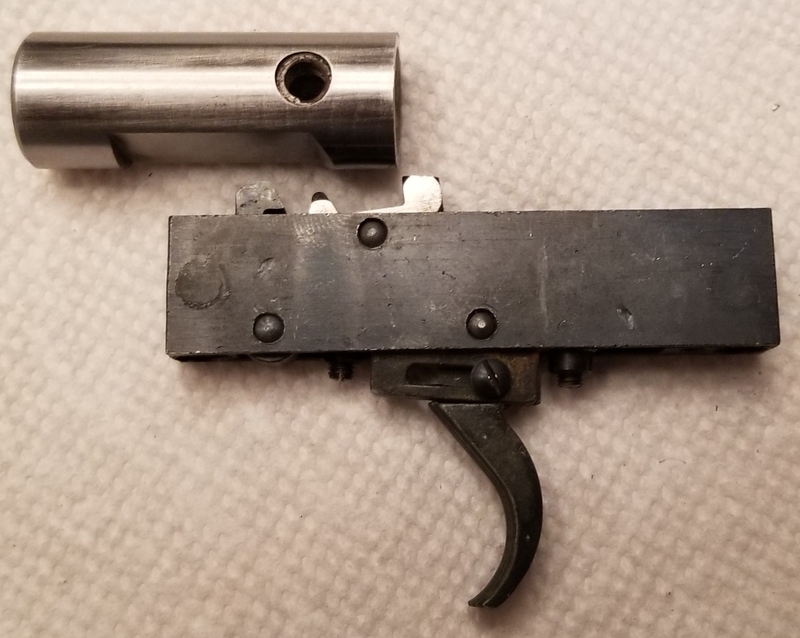 The gun that I'd thought might have been a hodgepodge slap together of random parts might just turn out to be a factory test-bed. I'm pretty happy with that thought. I only wish there was Hammerli knowledge like there is Daisy knowledge, with someone who could either verify or authoritatively disprove my theory. I hope you enjoyed the ride as much as I did, and thank you for the indispensable help. And I hope the pictures add useful information for other Hammerli owners. (NEW LARGER *GRAPHIC*) Weihrauch HW75 arrived!